Construction of Phase IIA of the ORR project is scheduled to begin in December 2009. Hyderabad outer ring road is being developed to ease traffic congestion within the city limits. 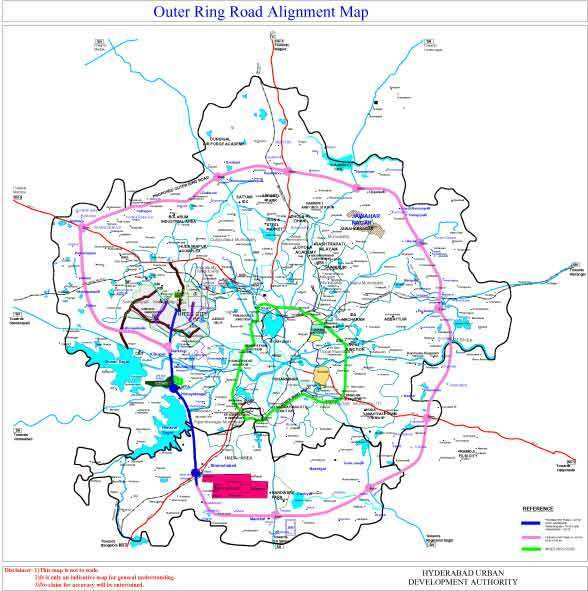 In an effort to reduce the frequent traffic jams in the major arterial roads of Hyderabad city, the Government of Andhra Pradesh unveiled a plan to construct the Outer Ring Road (ORR) around the twin cities. The ORR is a well developed and planned road and area project as it improves both roads and urban settlements around the metropolitan area. The 159km-long ORR encircles Patancheru – Shamshabad- Hayatnagar- Medchal- Patancheru providing connectivity to various National Highways, State Highways, MDRs and other roads. The Government of Andhra Pradesh created a new department, Hyderabad Growth Corridor Ltd (HGCL), to develop and operate the ORR project in Hyderabad under the Companies Act, 1956 on 26 December 2005. The Government of Andhra Pradesh also proposed to develop 33 radial roads connecting the ORR. Out of these, it decided to develop six radial roads. Various parts of the city can be connected to the ORR via radial roads based on the traffic congestion. Since the Hyderabad Metropolitan Urban Development Authority (HMDA) is facing financial crisis and working hard to raise funds for PVNR expressway, construction of the remaining 27 radial roads has been put on hold for now. Around INR7.5bn ($161.49m) is required for completing the entire 33 radial roads development. The dead line for completing the construction of three radial roads is December 2010. The construction of remaining three roads is yet to begin. The first four lanes under eight-lane Phase I, connecting Gachibouli to Shamshabad, were officially inaugurated in November 2008. The inauguration enables better connectivity to Rajiv Gandhi International Airport (RGIA) via Narsingi, Andhra Pradesh Police Academy and Himayatsagar. The remaining four lanes are yet to be completed. The PV Narasimha Rao (PVNR) Expressway flyover was inaugurated on 19 October 2009. It was built as a part of the Phase I of the ORR project. The Phase IIA will be operational by June 2010. The Phase IIB which will begin after completion of Phase IIA, is targeted to be completed by February 2013. The ORR project is being implemented in three phases namely Phase I and Phase IIA and Phase IIB. Work on the Phase I includes construction of 4/8 lane, 22km expressway, which connects Gachibouli Junction to Shamshabad NH 7 Junction via Namakrama-guda, ORR link road Junction and Andhra Pradesh Police Academy (APPA). The total cost of the Phase I has been estimated at INR5bn ($107.75m). The PVNR expressway, which connects Sarojinidevi Eye Hospital to Aramgarh Junction and to Shamshabad Airport was also undertaken as a part of the Phase I. The PVNR Expressway is India’s longest 17.2m-wide four-lane flyover. It has been developed by Hyderabad Metropolitan Development Authority (HMDA) at a cost of INR6bn ($129.305m). Commuters can drive at a speed of 90-100km/h on the PVNR expressway, which saves around 30 to 40 minutes of travel time to the Shamshabad airport (RGIA). It is one of the routes connected to the ORR. The length of the expressway is 11.63km. The Phase II was split into Phase IIA and Phase IIB. The scope of work in Phase II will encompass construction of a 137km eight-lane expressway. The expressway connects Narsingi-Kollur- Patancheru- Medchal-Shameerpet-Peddamberpet-Turkayamjal-Shamshabad. The Phase II will cost around Rs25bn ($538.79m). The Government of Andhra Pradesh borrowed a long-term loan of Rs5bn ($107.75m) from a consortium of banks including the Bank of Baroda, Andhra Bank, Indian Overses Bank, Vijaya Bank and the Central Bank of India by mortgaging HUDA’s lands. The loan was availed to execute the Phase I. The remaining funds for the entire Phase II were provided by Japan International Cooperation Agency (JICA). The Government of India borrowed Rs41.85bn ($901.93m) from the JICA on 10 March 2008 for executing the Phase II of ORR project successfully. The acquisition of the Phase I contract for the ORR commenced in January 2006. The work was divided into two contract packages, namely Supervision Consultancy contract and Civil work contract. The HGCL has selected the bid of M/s BCEOM – Aarvee (JV) consultants for Phase I Supervision Consultancy out of those submitted by nine consultancy firms. The contract was worth Rs145.63m ($3.13m). The civil works of Phase I were divided into two contract packages, namely Package-I (0 to 11km) and Package II (11 to 24km). Package I contract connects Gachibouli to Andhra Pradesh Police Academy (APPA), while Package II links APPA to Shamshabad. Around ten contract firms have submitted their bids for both contract packages. The High Level Committee, however, has decided not to award both packages to a single firm in order to avoid delays in the project’s time scheduels. Based on the lowest bid, two companies M/s Corporation Transstroy OSJC, Russia and M/s Continental Engineering Corporation, Taiwan were selected as the first and second lowest respectively in both contract packages. M/S Corporation Transstroy was awarded the Package I contract (approx. Rs2.197bn or $473.48m) while the Package II contract (approx. Rs2.950bn or $635.77m) was awarded to M/S Continental Engineering Corporation. (CEC). The land acquisition of Phase I was completed and Detail Project Report (DPR) preparation was undertaken by M/s BCEOM-Aarvee Associates (JV) consultant in December 2005. The joint venture (JV) was formed between two engineering consultancy companies BCEOM India and Aarvee Associates, both based in India. The project received MOEF (Ministry of Environment & Forests) clearances. 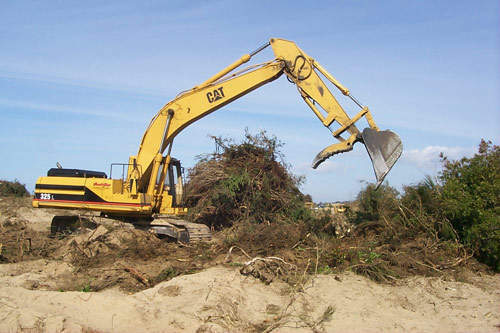 In April 2006, land acquisition for Phase II was completed. The DPR was completed in August 2006 and contracts were awarded in April 2007. The land required for Phase I of the ORR project is 750 acres, of which 500 acres is private property. Similarly Phase II requires 5,500 acres, of which 4,500 acres is private land. The Indian government approved a compensation package of approximately Rs360.55 m ($7.76m) to the affected families who were losing their houses in the project development. The land for Phase I was acquired in 4SDC’s, while the Phase II in 3SDC’s. Around Rs2.5bn ($538.23m) has been approved by the Government of India as compensation package to families who lost their lands in the Phase II development of the ORR project. The package is under active implementation. The total private land for the ORR project is acquired in seven SDC’s. The work under Phase IIA was divided into five contract packages. Due to delay in the payment of compensation to farmers, the commencement of Phase IIA construction is delayed until December 2009. Currently the work between Narsingi and Patancheru is progressing, upon completion of which the Pedda Amberpet-to-Shamshabad work will commence. The 71.3km Phase IIB, which connects Patancheru to Pedda Amberpet via Medchal, Shamirpet and Ghatkesar is categorised into six packages. The construction of three radial roads including Tippu Khan bridge to Andhra Pradesh Police Academy (APPA), Nanakramguda to Tippu Khan bridge via APPA and Narsingi to APPA have commenced. 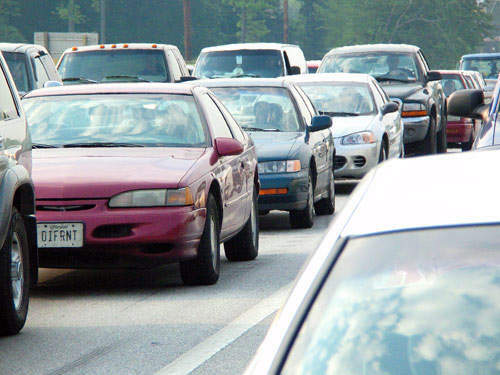 The work on the radial road development includes widening the roads to four, six and eight lanes. It also encompasses construction of footpaths and, central median with lightening. The Outer Ring Road is developing an advanced Intelligent Traffic Management System at a cost of Rs1.5bn ($323.27m). The new system is equipped with Cross-Coupled Televisions (CCTV), alert sytems, weather updates and can transmit road accidents information to travellers.